The EOS 1000D, or Digital Rebel XS as it’s known in North America, is Canon’s latest entry-level DSLR. 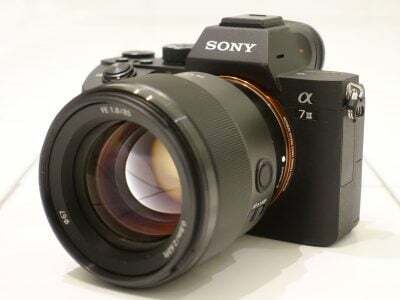 It’s the true successor to the best-selling EOS 400D / Rebel XTi and positioned below the EOS 450D / Rebel XSi which was launched six months earlier. The new EOS 1000D / XS shares several key specifications with its predecessor. It has the same 10.1 Megapixel resolution using a CMOS sensor, the same 3fps continuous shooting rate (for JPEGS anyway) and the same sized 2.5in 230k pixel screen round the back (although it’s now brighter and sports a wider viewing angle). So far so similar, but Canon has of course made a number of changes. Physically speaking the new EOS 1000D / XS is a slightly different shape to its predecessor, and closer to the recent 450D / XSi; indeed it also shares the same battery pack as the 450D / XSi along with its optional grip and a swap from Compact Flash to SD memory cards. Canon’s additionally shed further weight from the new model and at 450g, it’s officially the company’s lightest DSLR to date – 25g lighter than the 450D / XSi and 60g lighter than the 400D / XTi. Internally there are of course a variety of changes over the 400D / XTi, the most predictable being the presence of Live View. The new 1000D / XS shares the same Live View specification as the 450D / XSi, including the contrast-based AF option and supplied PC / Mac remote control software. In an attempt to distance it from the 450D / XSi, Canon’s actually downgraded the AF system in the 1000D from its predecessor – at least in terms of AF points anyway. So rather than the 9-point system of the 400D / XTi and 450D / XSi, Canon has recycled the 7-point system of the earlier 350D / XT for use on the 1000D / XS. 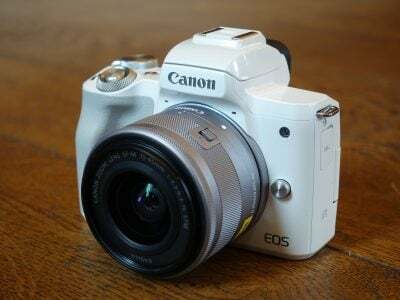 Canon does however note the AF algorithm behind it is the same as that on the 450D / XSi, and at least 7-points are still more than the 3-point systems of entry-level Nikon and Olympus DSLRs. Interestingly the continuous shooting specification is also a downgrade in some respects. 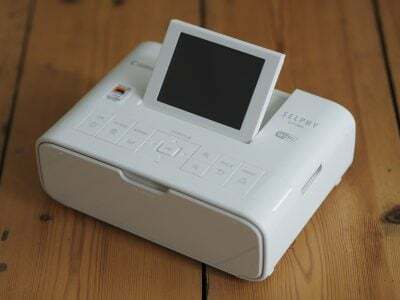 The 1000D / XS can shoot at the same 3fps speed as its predecessor, but only for JPEG images. Switch both models to RAW and the new 1000D / XS drops to 1.5fps with a mere five frame buffer compared to 10 RAW frames at 3fps on the 400D / XTi. On the upside though, the 1000D / XS can shoot JPEGs until the card is full, whereas its predecessor stopped at 27. In terms of bundled optics, the 1000D / XS is available in a kit with the latest EF-S 18-55mm IS lens, providing a basic range with optical stabilisation. Canon traditionally launches at least one new accessory with every new DSLR, and joining the EOS 1000D / XS is the new Speedlite 430 EX II flashgun. This replaces the existing 430 EX model, offering fast and silent recycling, control from compatible EOS bodies and a quick release mounting system first seen on the 580 EX II. While some enthusiasts and owners of older models will lament certain feature downgrades on the new 1000D / XS, the fact is it ticks two important boxes most new budget DSLR buyers are looking for: Image Stabilisation and Live View. Couple this with 10 Megapixel resolution and Canon’s reputation for creating best-selling models and the success of the 1000D / XS isn’t in any doubt. But is it actually any good? In our full review of the EOS 1000D / Rebel XS we’ll closely compare it against its predecessor, the 400D / XTi and the next model up in the range, the 450D / XSi. You’ll find out how the features, image quality and prices compare, along with seeing how the latest Canon measures-up against key rivals from other manufacturers. So read on to find out if the 1000D / XS is the new leader in the 10 Megapixel entry-level DSLR market, and as always, you can see a demonstration of its key features in our Canon EOS 1000D / XS video tour. We tested a final-production Canon EOS 1000D / XS, running firmware version 1.0.3. Following our convention of testing cameras using their factory default settings unless otherwise stated, the EOS 1000D / XS was set to Large Fine JPEG quality, Auto White Balance, Evaluative metering and the Standard Picture Style; High ISO Noise Reduction and the Auto Lighting Optimiser were set to their default OFF and Enable settings respectively. Image Stabilisation was enabled for all handheld shots and disabled for tripod-based tests.